Skye Gravestones | Donald G. Maclennan. 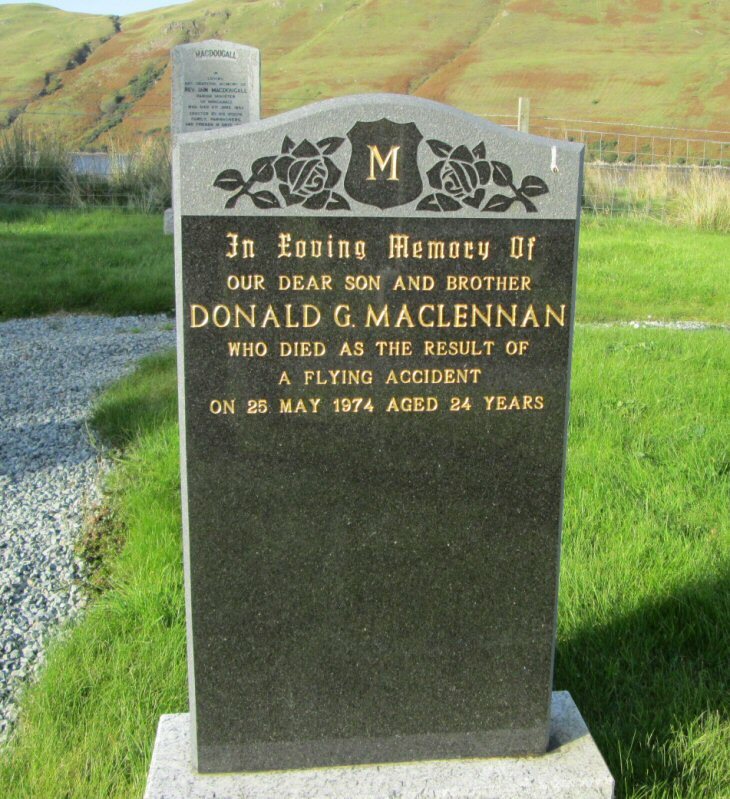 In loving memory of/our dear son & brother/DONALD G. MACLENNAN/who died as a result of/a flying accident/on 25 May 1974 aged 24 years. Picture Added on 14 January 2014.